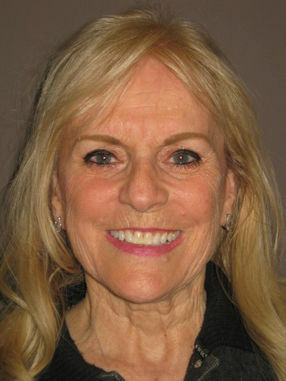 I have performed cosmetic surgery for many years in the Inland Empire region north of Los Angeles, California. 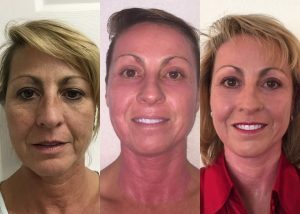 This was recently named as “America’s most wrinkle-prone area.” To provide the best facelift results, for many patients I recommended adding laser treatment for face and neck rejuvenation that went beyond what any facelift alone could achieve. But now a recent innovation, J-Plasma skin resurfacing, has surpassed laser in providing the best results. If you’re starting to look older than you’d like, this information could really help. The second thing that makes your face age is sagging in your facial muscles and the membrane under your skin that covers them. 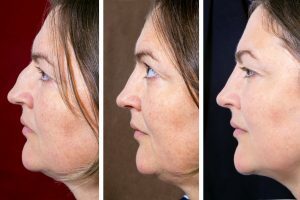 As these get more lax you start to see jowls appear, along with deeper nasolabial folds (the lines that run from the corners of your nose to the corners of your mouth). Marionette lines may become visible from the corners of your mouth to your chin. This can make you look older when you still feel young and vibrant. Finally, you lose fat where you need it and accumulate it where you don’t want it. On your face the fat pads under your skin that make you appear youthful and attractive start to thin out. This can produce hollows and deep lines. It can make you look old, tired and gaunt. But while your face is losing the fat pads it needs to look young, fat can accumulate under your chin. Too much fullness in your neck can produce a “double chin.” It can take away from your natural good looks. 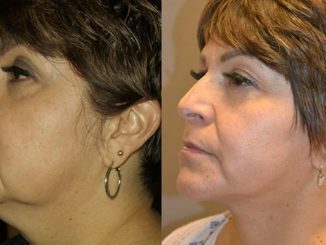 Hollows and deep lines are best addressed using Fat Transfer (Fat Grafting) and injectable fillers. 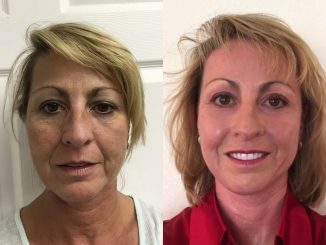 I talk about these in depth in “Quickly Rejuvenate Deep Lines and Sunken Cheeks” and “Facial Fat Grafting with PRP – Restore Your Looks with Regenerative Medical Technology.” In my practice, Second to Creation Plastic Surgery (STC Plastic Surgery) in Ontario, California (north of Los Angeles) I have found the most effective ways yet discovered for dealing with the other two causes of facial aging. To address sagging skin, there is nothing now available that works better than J-Plasma facial resurfacing. 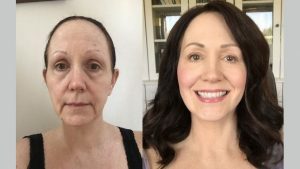 As you can see in the many J-Plasma articles on LookYounger.News, J-Plasma treatment can safely remove old, tired skin. First we will numb your face by injecting the safer local anesthetic used by many dentists. Then, using a painting motion, I will go over your entire face with the J-Plasma device. This will break down the top layer of your old skin, which I will literally wipe away. 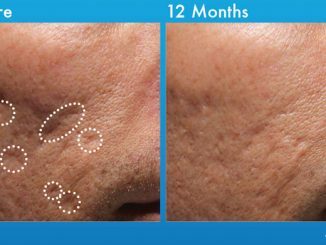 J-Plasma skin resurfacing accomplishes two things. Wiping away your old, tired skin reveals the new, firmer, more vibrant skin beneath it. In addition, the heat generated by the J-Plasma device, though much cooler than laser, produces a small, controlled “thermal injury” to your skin. Your skin will respond by tightening and producing much more collagen and elastin than you had before. This will make your skin appear much firmer and healthier. It will also eliminate fine lines and wrinkles that were making you look older. 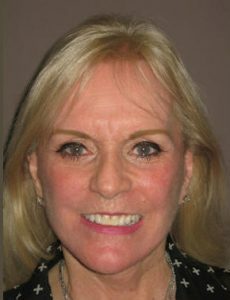 In many cases, bags under the eyes tighten considerably or disappear. This can make a real difference in helping you get the younger look you want. Once we have tightened your facial muscles I will trim off any excess skin and hide the stitches where they’ll be hard to find. The result will be a natural, younger look. When preparing for a facelift, it’s best to plan on a week of downtime in order to recover. With J-Plasma facial rejuvenation your face will look like you have a sunburn for a few weeks. After about two weeks you can cover this with makeup. You’ll soon forget any inconvenience this produces as you see a younger version of yourself looking back at you in the mirror. In my many years of practice in metro Los Angeles, Inland Empire, and, before that, Beverly Hills I’ve seen many new facial rejuvenation technologies come and go. But the combination of a SMAS facelift and J-Plasma gives the best, most natural-looking results I’ve ever seen. 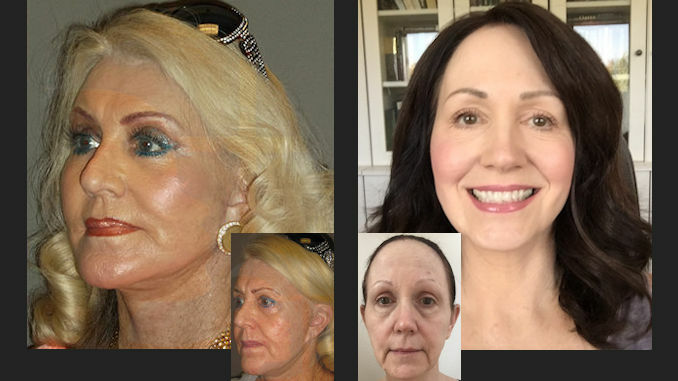 If you want to look the way you did when you were years younger, it would be wise to consult an experienced plastic or facial plastic surgeon who offers all the treatments mentioned here. When you see your results, you’ll be glad you did.